With the recent announcement of Genesis games being playable on the Revolution, I thought this would be a wonderful time to review some classics. Ever since Super Mario Bros was released on the NES, the platformer has been a constant genre in the video game industry. While many of the platformers were simply Mario clones, the 16-bit era was kicked off with Sonic the Hedgehog and never looked back. 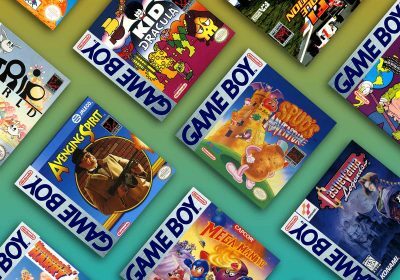 The Genesis had an especially great selection of interesting and unique platformers that helped Sega compete with Nintendo and the more powerful SNES. The headlining series of the Genesis never disappointed. The original Sonic may look a bit dated in comparison to the later installments, but it blew away its initial competition and in still an influential game in today’s gaming world. Sonic 2 was a tremendous leap in all respects and is one of my favorite games of all time. It added 2-player mode and had some of the most balanced gameplay in a platformer. 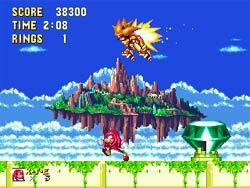 Sonic 3 improved the graphics quality and animation while adding some additional mini-bosses and special powerups. It added a bit more depth and polish to an already wonderful series. Finally, Sonic and Knuckles brought a new playable character but didn’t add much to Sonic 3’s already high standards. However, it did offer lock-on technology that let you attach the older Sonic carts in order to play as Knuckles on the previous games. 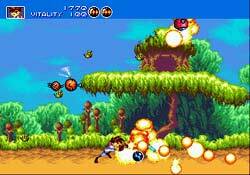 Gunstar Heroes is one of Treasure’s most popular titles because of its graphical innovation and killer gameplay. 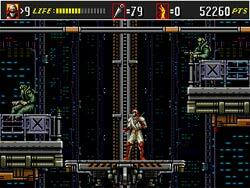 It combined a linear, side-scrolling shooter with plot elements, a dice game, recurring bosses, and combat strategy. It also was an incredibly compelling and blissfully chaotic 2-player game. 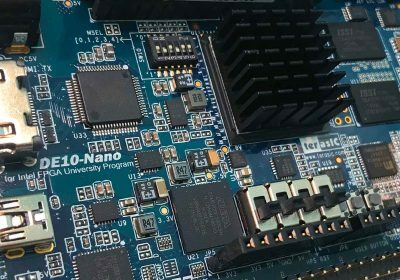 The weapons system is innovative and gives the player the ability to adapt to many different situations. And like most every Treasure game the bosses are huge, made of dozens of independent sprites, all of which move, jiggle, and rotate. The animation is so advanced that it wouldn’t be a stretch to compare Gunstar Heroes to the Neo Geo games of the era like Metal Slug or Shock Troopers. 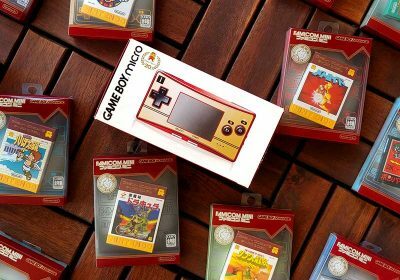 Gunstar Super Heroes has received rave reviews for the Gameboy Advance, so it would be a natural to bring the original back to a new console to show all the kiddies where this great franchise began. Some enhancements were established in this Contra title such as multiple paths, endings, and selectable characters. Because of this, Hard Corps is regarded among fans as one of the best of the series, not to mention a top-notch Genesis title. Hard Corps is quite challenging, but you’ll want to play repeatedly in order to gradually improve. Most bosses are easy once you know their patterns, but some will keep you on your toes every time you fight them. The regular enemies, when they’re around, come at you very fast and from all angles. As an answer to Nintendo and Rare’s Donkey Kong Country series and it’s pre-rendered, 3D-like graphics, Sega fought back with the Vectorman series. It features its own 3D-ish character and provided some animations, which in my opinion, were even more impressive than DKC. Just watching the introduction makes it difficult to believe this is a Genesis game. It features 3-D scaling and morphing that only Gunstar Heroes seems to have touched. The games themselves are straightforward 2D action platformers in which Vectorman is equipped with a blaster that fires one bullet at a time; powerups include a machine gun, “bola” gun, and triple-fire guns. Vectorman possesses the ability to transform, through the use of powerups, into several different forms. Like the Street of Rage series was outside of the US, both Vectorman games were included as bonuses on the Sonic Gems collection. However, these are good enough titles to be available as individual game downloads. This run-n-gun is considered one of the hardest games ever developed by the cult-classic factory, Treasure, and was released only in Japan and Europe. It is very difficult to find in either region. As usual, Treasure really put a lot of creativity into Alien Soldier’s graphics and animation. The characters are large, extremely detailed and fluidly animated. And as opposed to most other side-scrolling shooters, the levels are notably short and easy before reaching a boss. This results in the game being mostly large boss fights. Alien Soldier is slated to be included in Japan’s Gunstar Heroes Treasure Box compilation for the PS2 (no US release is announced), but it would be a great title to see available for download on the Revolution — especially in the US. Bloodlines is the only Castlevania title to be released on the Genesis but plays much like Super Nintendo’s Castlevania IV. 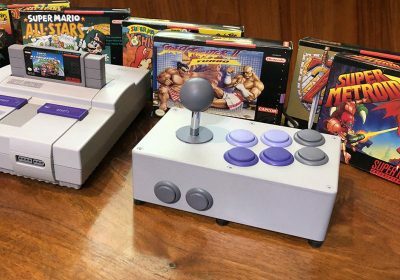 The graphics aren’t as detailed or colorful as the SNES version, but it pushed the capabilities of the Genesis to achieve many effects that otherwise wouldn’t be possible on the system. Many of the bosses are very large and are composed of many sprites that combined into one entity. 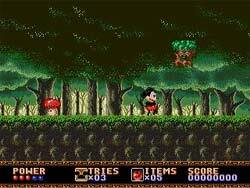 If you look at Bloodlines on its own instead of comparing it to the SNES game, it is actually an excellent platformer. Being innovative in both gameplay and graphical effects, Bloodlines has many features that make it stand out. 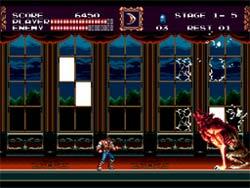 It is worth noting that the storyline from Castlevania Bloodlines ties into Bram Stoker’s Dracula novel. 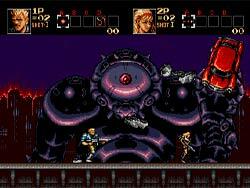 In addition, since Konami was free of Nintendo’s censorship rules, the developers were free to put in a blood and background effects such as hanging corpses. 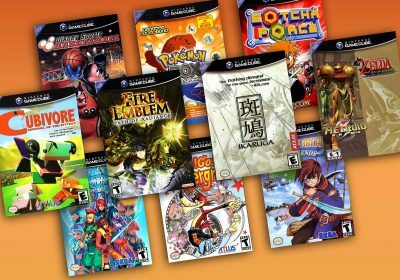 With the fanbase of the Castlevania series still going strong on the GBA and DS, it only makes sense to bring as many of the 2D Castlevania’s to as many of Nintendo’s systems as possible. This Treasure action/platformer (also to be included on the PS2 compilation) was not quite as spectacular as Gunstar Heroes, but Dynamite Headdy has everything you look for in a Treasure game: Crazy special effects, tons of sprites with little to no slowdown, an interesting weapons system, psychotic bosses, and trademark Treasure strangeness. Headdy is an ant who bashes enemies with his head and had many different head upgrades available to him throughout the game. 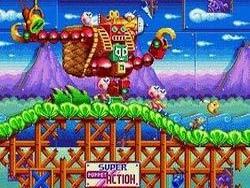 Most of the levels consist of fighting bosses with only small sections of normal battling in between. As a result, the game is incredibly varied, featuring an incredible array of ideas and fast-paced action, while retaining the platform-game mechanic. Shinobi has long been one of Sega’s flagship characters, and its games a showcase of their technical accomplishment. Today the games are still noted for their high quality of graphics, gameplay and music, as well as their difficulty. Revenge was the unofficial sequel to the original Shinobi (from the arcade, NES, SMS, and more) and the debut of the ninja on the Sega Genesis console, The Revenge of Shinobi was widely praised at the time of its release and, for a while, was one of the most popular games on Genesis. Shadow Dancer is the second Shinobi title on the Genny and is the official sequel to the arcade game. This time, our hero, Joe Musashi is accompanied by Yamamoto, the shinobi dog. The dog effectively adds a strategic element to the action, allowing you to subdue even the toughest enemies. Known as Super Shinobi II in Japan, Shinobi 3 is regarded by many as the high point of the series. It introduced a much smoother, faster style of gameplay while keeping the series’ familiar trademarks firmly intact. The action never gets repetitive due to the constantly-changing scenery, numerous surprises, and lots of incredible bosses to test your skill. If you like ninja games, you cannot afford to live without this one. In the avalanche of 2D platformers during the 16-bit era, it was easy for a game like Konami’s Rocket Night Adventures to get lost in the shuffle. 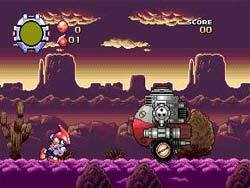 Rocket Knight Adventures has more technique and plot than any other platform of the era. RKA’s protagonist is Sparkster, is an opossum who fights an army of robots and pigs, many of whom are piloting various mechanical vehicles. 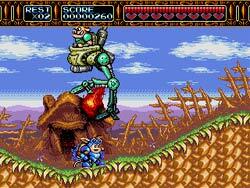 Sparkster is armed with a sword that can project energy over a short distance and a rocket pack that allows him to fly. The slick effects and big bosses alone can carry the game. It may have its flaws — mainly with the replay value, but overall, this is one of the best bets for the Genesis, period. On the surface, Ecco looks like a typical kids game. However, when you actually play the game, you will immediately find out that it is full of challenging puzzles and adventures. This critically acclaimed title also featured spectacular water effects and a brilliantly colorful undersea world. Your dolphin’s movement is silky smooth, and at first, swimming around in the open sea and jumping out of the water is fun in of itself. The goal of each of the 25 stages is not immediately apparent, but you’ll find hints by “talking” to other sea creatures you run encounter. 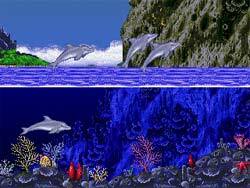 Action-oriented gamers may find Ecco a bit tedious, but this is a very satisfying game. A sequel “Tides of Time” was released shortly after and is an equally entertaining and challenging game. Platformers were all the rage in the 16-bit era, so there were a number of gems that got lost in the mix. Ristar was a fresh adventure game in which the main character actually had some interesting capabilities. Ristar’s gimmick is simple, but effective: Ristar can’t jump very high, or do any feats of extreme acrobatics. Instead, he can stretch his arms about two Ristar-Lengths ahead of him, he can grab onto ledges, walls, handholds, ladders, and enemies. He can even climb walls by touching the wall multiple times, climbing up slowly. The original ToeJam and Earl is a relatively slow-paced, collect-the-items game with cheesy graphics and a really juvenile sense of humor. You play as two funky aliens who’re on earth looking for the remaining pieces of their rocket ship. You must complete 25 levels trying to find them, and if you didn’t find them, you must go back and search each level until you have. This game really shines when it’s in two player, split-screen mode. Both players can cooperate together to try and find the missing pieces of the rocket ship. In the game you find ‘presents’ which can be either beneficial or detrimental. The only bad side to this is that you have absolutely no chance of knowing what’s inside. It could be a pair of wings, so you can fly over islands, or it could be removal of 1 instant life. It’s a gamble. While it is not a traditional platformer, TJ&E is an incredibly unique game that has a strong cult following. 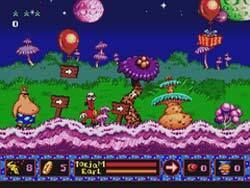 The second Toejam and Earl game took a strong departure from the gameplay of the first game and becoming more of a standard platformer. This was quite a disappointment to many of the game’s fans, but the sequel is still a solid game. In this episode our funky alien friends have accidentally unleashed those disgusting humans from Earth on their home planet of Funkotron. Your job is to capture all of these obnoxious creatures and send them back. In addition to collecting items, you capture the humans by throwing magical jars at them. The visuals are fantastic, with cartoon-quality animation. The two-player mode has been retained, but it has a different feel to it since you must remain on the same screen as your partner. While it is a very early Genesis title, Castle of Illusion holds up very well to most over the platformers released over the Genesis’ long lifetime. The beautiful graphics, animation, and music are pure Disney. The highly imaginative stages range from an enchanted forest to a huge toy room. Each offers its own unique challenges, and there are surprises around every corner. While Castle of Illusion is perfect for kids, it’s also challenging enough to keep adults interested. It may be a bit short compared to modern games, but considering there is no save option (only continues) that’s probably for the best. 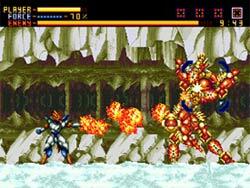 Produced by Sega at the end of the Genesis’ lifespan, Pulseman was only released in Japan. It featured mesmerizing blend of artistry and atmosphere will deliver a trance-like hypnotizing effect unlike anything ever attempted. While it isn’t especially deep, the gameplay and atmosphere has been compared to both Sonic and Megaman, so you know it is filled with great platforming fun. 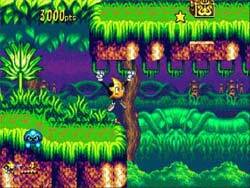 Pulseman’s 2D graphics are some of the best on the Genesis and feature a number of great animations and special effects. Agreed, Quackshot seems more than worthy enough. Where the heck is Earthworm Jim? And don’t forget about Pitfall: THe Mayan Adventure! An “aye” on Altered Beast as well. Earthworm Jim isn’t exclusive to the Genny, but will be added to the non-exclusive list. I still have a Genesis hooked up with the rest of my systems. My kids actually play it more than the Gamecube a lot of the time. And pretty much everything I have is on your list. I think Vectorman was pretty cool, and I break it from time to time even to this day. Also, Altered Beast should not be on anyone’s “best of” list ever. It’s highly overrated and really quite boring compared the truly “best” ones. come one where’s streets of rage? and where’s golden axe? Since you’re starting to do best *genre* lists for the Genny, I think a good related list might be best music on the Genny. 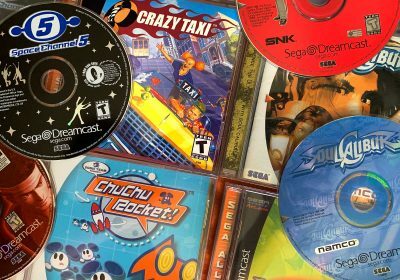 The Genny got little love for tunes because it has a bizarre sound chip setup, but there are some greats. It would be nice to see a list of those go up as well. Like others has said, I too think that Quackshot should be on that list. It’s a great platform game that I still play until today, and better than Castle of Illusion IMO. Where is Tiny Toons: Buster’s Hidden Treasure? It’s the best platformer for the Genesis. WHAT ABOUT BATTLE TOADS DOUBLE DRAGONS OR MAXIMUM CARNAGE. Well… while this is a good list, you overlooked one of the best platformers not just of the genesis system, but of all systems in all of time. The liquid action that plays almost as an adventure game in Pirates of Dark Waters! This game far supercedes the SNES counterpart, which is much slower and the lower resolution hinders it (which is typical comparing most SNES games to their genesis counterparts). 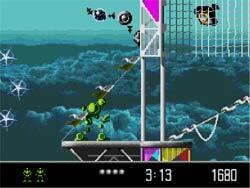 Kid Chameleon was the best platformer. hehe… there’s a bunch of retro gaming dudes here. street of rage? that’s not a platformer, dude. X Men 2 : Clone Wars is missing. Good call! Thanks for the recommendation!